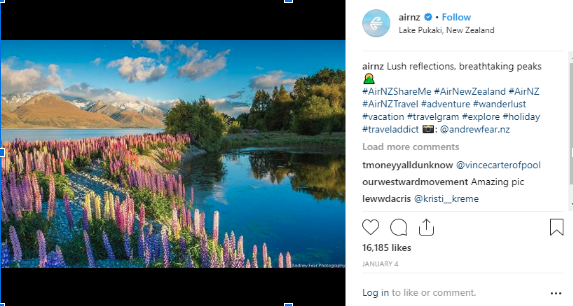 There is nothing the millennial generation enjoys more than sharing their intrepid holiday pictures online, so we have to take our hats off to the marketing team at Air New Zealand for harnessing the power of citizen journalism and their brand of ‘soaring people to their next adventure’, with their #AirNZShareMe campaign. 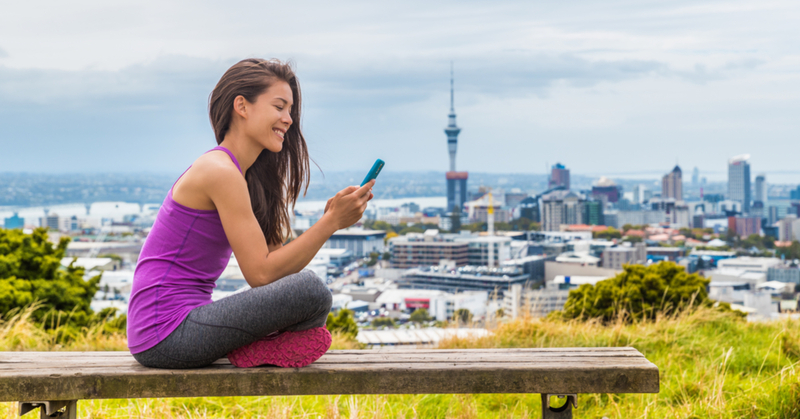 Here, the company asked New Zealand travellers to snap a picture of the best views from above, or stunning scenery from their holidays. Naturally, the tag trended, and hundreds of Kiwis rose to the occasion to share their stunning snaps. Perhaps what was most admirable about this campaign was the simplicity of the task, and the share reward of thousands of stunning pictures associated with their hashtag across Instagram, Facebook and Twitter. With over 57,000 hash tagged posts on Instagram, this campaign was evidently a winner. You can take a look at some of the pictures here. Every year, Kiwis are bombarded with imagery of the dangers of our coasts and beaches, in an attempt to prepare them for safety in the summer months. The Raglan Surf Report has innovatively ridden the trending wave of criticism for Air New Zealand's failed safety video, and created a #beachsafety video to appeal to their target audience. This ingenuity shows an understanding of their audience, the foresight to use a trending topic to propel their views, piggybacking on the #airnzsafety video trend, and appeals to the ‘classic kiwi’ who surfs the Raglan coast line – all while promoting awareness about safety in summer. You can take a look at this hilariously compiled short video, which offers colloquial tips such as ‘don’t dip in denim’, and ‘don’t try to breathe underwater’. Lemon & Paeroa – What does L&P Taste Like? A quintessential kiwi staple that always delivers a strong social marketing strategy for their iconic summer drink, is Lemon & Paeroa, and once again, this year they did not disappoint. Launching their ‘What does L&P taste like?” campaign across all their social channels, L&P asks the tall question of Kiwis who follow their pages to engage and respond to the question with the promise of printing the best answers on L&P bottles, to then be distributed across NZ. The engagement has so far been huge, and we’ve seen a combination of videos and marketing cards go out across social media (interestingly without a hashtag), showing the promotion. This campaign shows the unison of the power of Kiwiana, working hand in hand with a simple marketing call to action on social channels. Once again, well done L&P for delivering something memorable, and soon to be tangible. 2Degrees, a company with its foundations firmly based in communication and technology, New Zealand company 2Degrees embarked on a social marketing campaign this summer which aimed to shed light on the unique ways that Kiwis communicate, and how technology helps or hinders this process. What made this social campaign a particularly stellar one, was their wide use of social media, visuals, podcasts, blogs, hashtags and social influencers to share a common message. The many-pronged approached reach a large audience, trended online and spoke to the New Zealand public effectively – a difficult feat to achieve while using such a multitude of channels. Take a look at the way 2Degrees utilised the now popularised podcast format to extend their reach, here. Harnessing the connecting power of a ‘hashtag’ on Twitter, 2Degrees managed to communicate key ideas from their campaign to a wider audience. With the familiar face of NZ presenter Jason Gunn, 2Degrees used the power of a social influencer to promote both their message itself and trust in said method to a wider audience in a short three-minute video. Take a look here at how 2Degrees used their internal teams to try out things they learnt in their campaign such as the value of a digital detox, and write the results into blog format. Can your company’s campaign punch with the NZ heavyweights? Want an easy way to see which of yours - and your competitor's - campaigns are cutting through? Check out Zavy now.